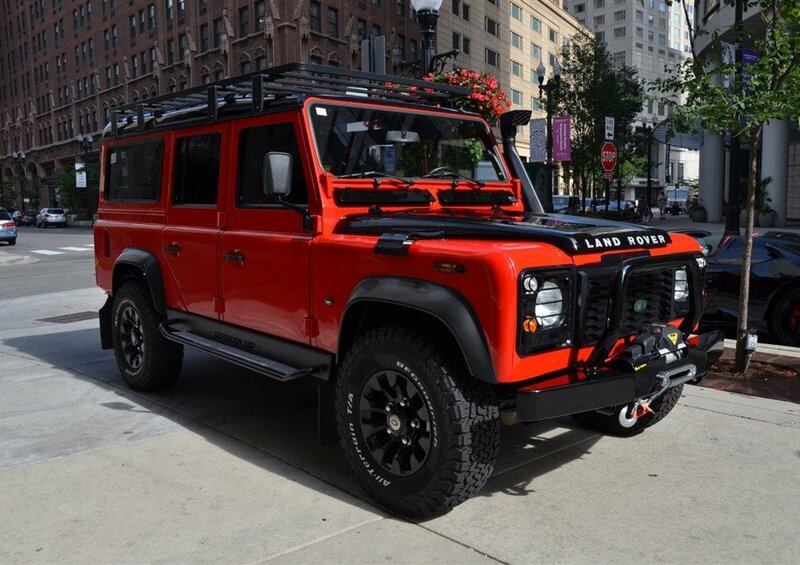 It’s been quite some time since the Land Rover Defender was sold here in the US. In fact, it was sold only from 1993 to 1997 due to ever-changing safety regulations. 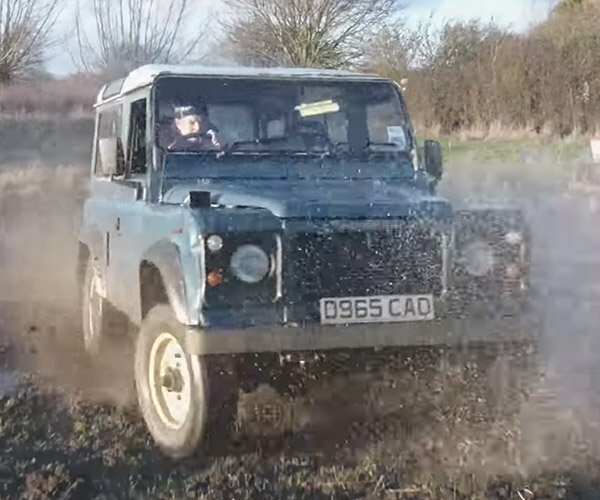 I’m hopeful that the Defender will be relaunched in the next couple of years, but there’s nothing quite like the rugged, boxy shape of a classic Defender. 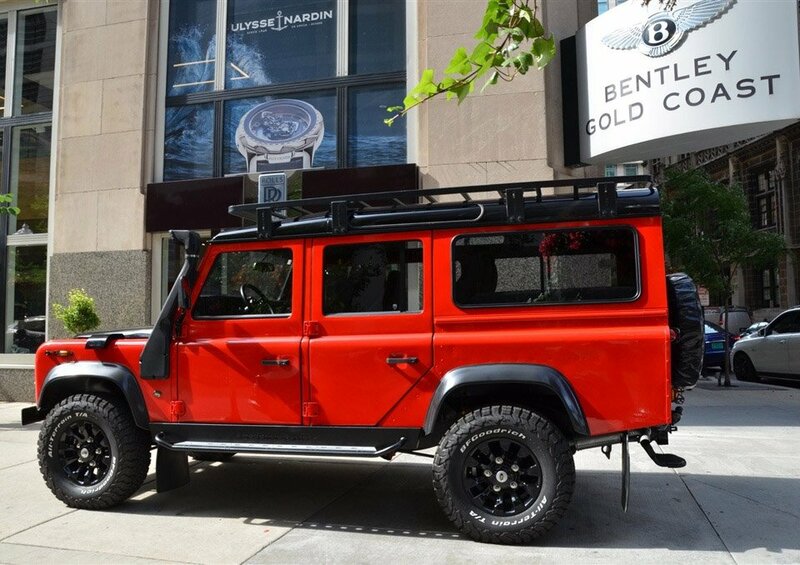 If I had the $99,000 to spare, I’d so run down to Bentley Gold Coast dealership here in Chicago and plunk down my money for this beauty, a 1990 Defender (presumably imported) that’s been loaded to the hilt. 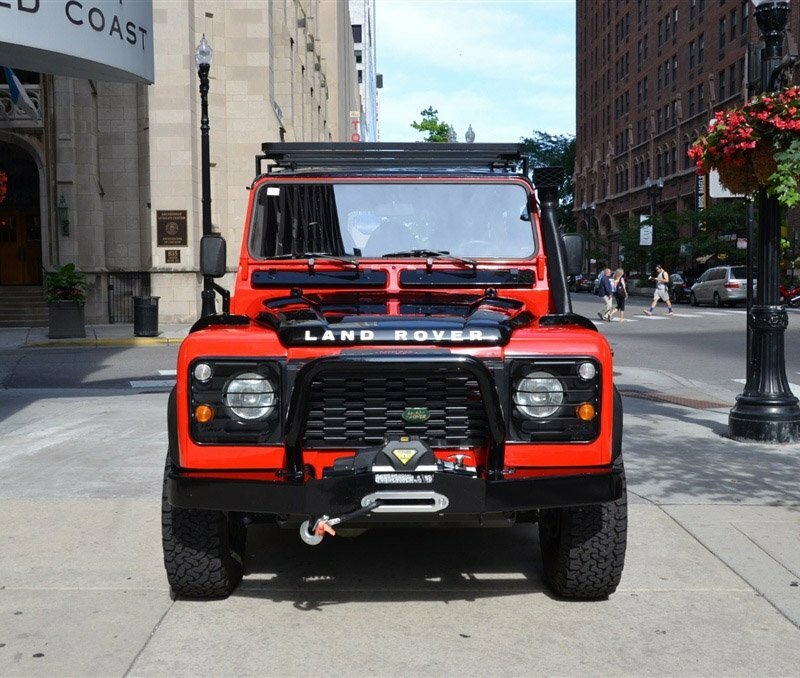 This awesome red and black Defender looks as good as new too, and appears to have been given the full Defender 110 treatment by East Coast Defender too. It’s so pristine that it looks like it’s never spent a minute getting dirty, so the lucky buyer can have the joy of doing that for themselves. 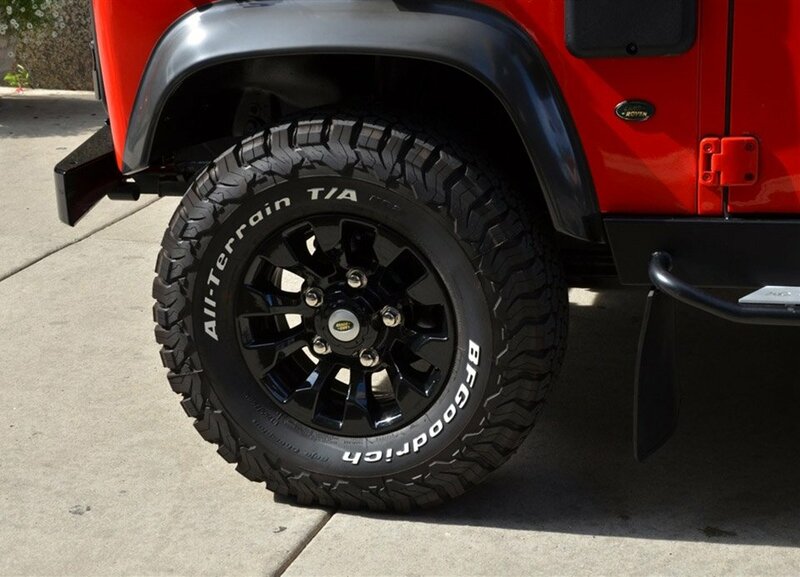 It looks so awesome with those black overfenders and side rails, riding on chunky off-road BFGoodrich All-Terrain T/A tires. 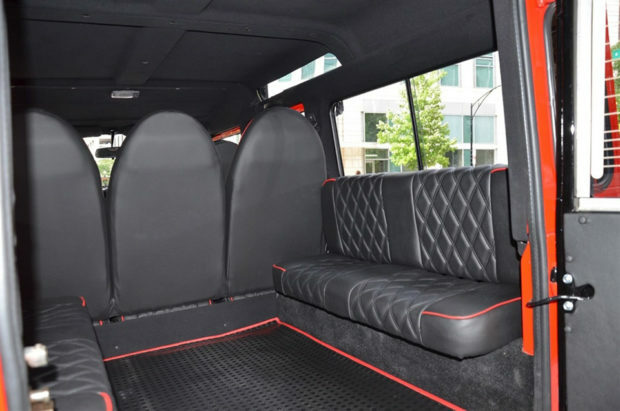 And don’t get me started about the wonderful interior, with its beautifully quilted black leather with red piping, seating for five adults up front, and benches for four, or possibly six more in the back. Yes, you might be able to cram eleven people in this Defender if you wanted to – though the ones in the back might fall out of their seats the first time you hit a pothole. 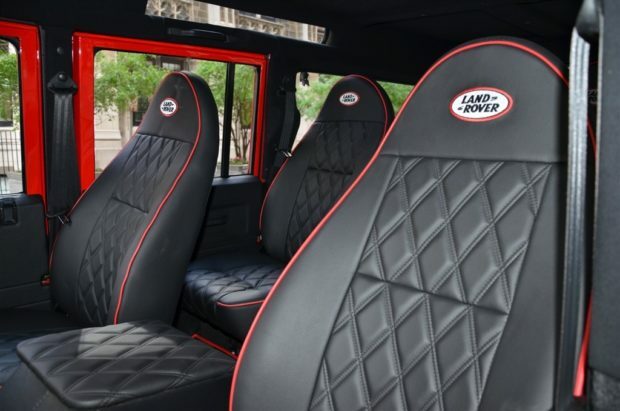 They haven’t posted any details on this Defender’s drivetrain, other than to say that it’s a proper 4WD, that it packs a 3.0-liter diesel engine, and a manual gearbox. It’s got a whopping 120,924 miles on the odometer too, but it sure doesn’t look like it’s had that much use. I’m guessing it was restored, but retained the original mileage. Regardless, it’s a gorgeous off-roader, and I’d love to have it in my garage.